Jim Haller's Albany-Colonie Yankees lost this July 1993 game, but Haller did his best to keep them in the contest, according to The Schenectady Daily Gazette. Coming on in the sixth inning, Haller finished out the game, giving up only one unearned run. In the sixth, he also got out of a bases loaded jam by inducing an inning-ending double play, The Daily Gazette wrote. "He did a great job," AA Yankees manager Bill Evers told The Daily Gazette. "He got the big double play." Haller pitched well that day, but his days pitching professionally didn't last much longer. That season was his fifth as a pro. It was also his last. Haller's career began in 1989, taken by the Yankees in the 24th round of the draft out of Kansas State University. Haller played his first season in the rookie Gulf Coast League. In 24 relief outings, he posted a 2.36 ERA and saved eight games. He moved to single-A Greensboro, getting into 52 games. He had a 2.99 ERA and he saved 14 games. In 1991, it was high-A Prince William. He also had an even better ERA, 1.95. In 1992, it was high-A Fort Lauderdale. He had a 3.06 ERA in 41 outings there. 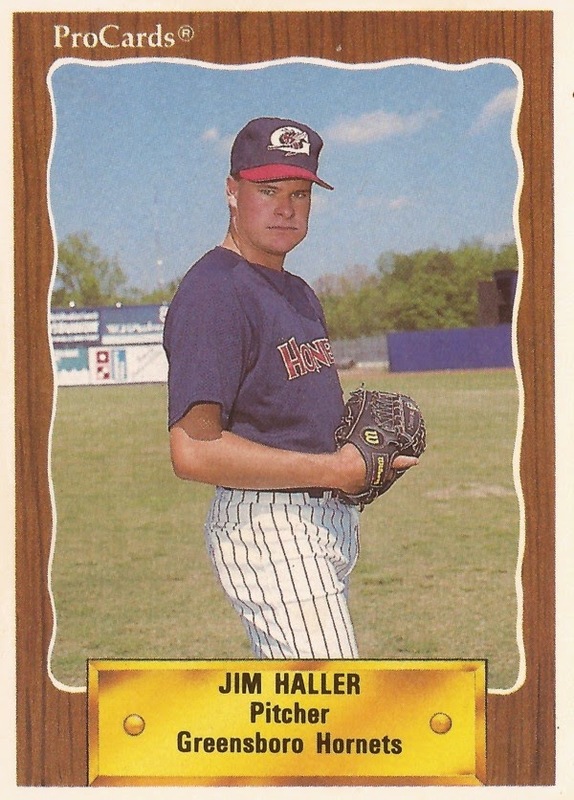 Haller got promoted to AA Albany-Colonie in 1993. He pitched a scoreless inning in May. Two scoreless innings of work in a June game got him a win. Overall, he had a 3.99 ERA and a 2-2 record. It was his final year as a pro.